To bridge the gap between the original Mass Effect trilogy and the upcoming Mass Effect Andromeda, publisher Titan Books will be releasing four new spin-off novels. 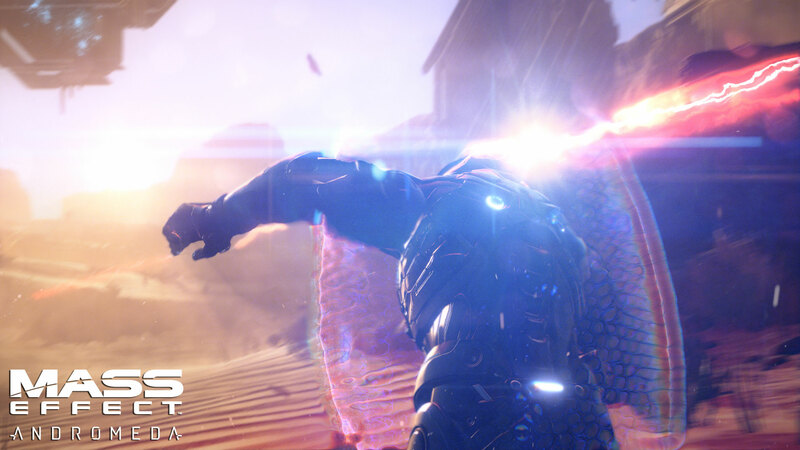 While fans of the Mass Effect series will still recognize enough original Mass Effect elements in the upcoming fourth Mass Effect game, Andromeda will feature a complete new story, and will introduce new characters, new enemies, and new worlds. “We want this to be a new story and it would be very hard to say it’s a new story but also that you need to understand how [the past trilogy] ended”, Bioware’s vice president, Aaryn Flynn, said during in interview with Eurogamer recently. In the same interview, Bioware’s creative director, Mac Walters, reassured fans that certain Andromeda will feature elements from the original trilogy, but also noted that the emphasis is on a “fresh story”. It’s important for us to have elements from the Trilogy for fans to have in the background,” Walters explained. “Ultimately this is intended to be a fresh story, but we want to have things for people to find and go ‘oh, I remember that character’. Judging from what we know so far, there will be a gap between the original trilogy and Andromeda, but luckily Titan Books is hoping to bridge that gap by releasing four new Mass Effect spin-off novels. With a new game – Mass Effect: Andromeda – set for release in 2016, the launch of a new series of canonical novels is timely. While earlier Mass Effect games focused on the defense of the Milky Way galaxy, with humans pitted against a race of ruthless mechanical invaders known as the Reapers, the new story will take the game in a dramatic new direction and is set in a new region of space, with a new and deadly enemy. Titan will publish four unmissable Mass Effect novels, sure to appeal to the game’s huge number of fans. The game Mass Effect has won numerous awards, including Best Story, Best Voice Acting, Best Original Music and, from The New York Times, Game of the Year. “The novels will act as prequel and sequels to the events in the games and will become part of the overarching Mass Effect saga. They will focus on key characters and answer the many questions fans have been asking”, explains the publisher. The first novel in the series will be written by N. K. JEMISIN, and is to be released this August. 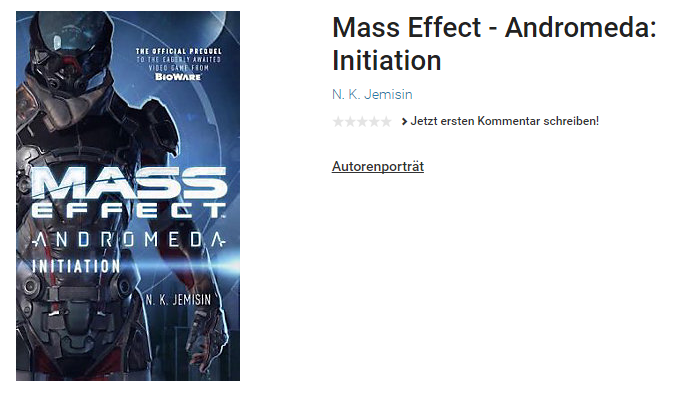 The novel will either by titled ‘Mass Effect Andromeda; Initiative’ or Mass Effect Andromeda: Initiation – the exact title isn’t known due to different titles being used in the description and cover of the novel. The second book in the series is slated for a release in March 2017, while the 3rd novel is expected to be out by September 2017. The final novel in the series will be released in March 2018, and will be written by Mac Walters himself.